By Clemente Lisi – NEW YORK, NY (Apr 15, 2019) US Soccer Players – For the major East Coast cities linked by Interstate-95 in the Mid-Atlantic and Northeastern regions of the country, every game between them is a rivalry game. That's regardless of the sport. all of them have a rich sports tradition and distinct rivalries. Over the past two decades, rivalries built by those other sports have spilled over into MLS. This will play out again this weekend when the New England Revolution host the New York Red Bulls on Saturday and NYCFC travels to the nation’s capital the following day to take on DC United. These two games epitomize a fierce rivalry that transcends soccer, embraced by fan groups from all three of these East Coast cities. For both New York teams and New England, these games come at a tough time. The Revs, hobbled by injuries, are at the bottom of the Eastern Conference standings with four points. They've only one once so far this season. The Red Bulls and NYCFC aren’t doing that much better at five points, making this weekend’s matches that more vital. DC United, on the other hand, are in first place in the conference with 14 points after getting off to a strong start. 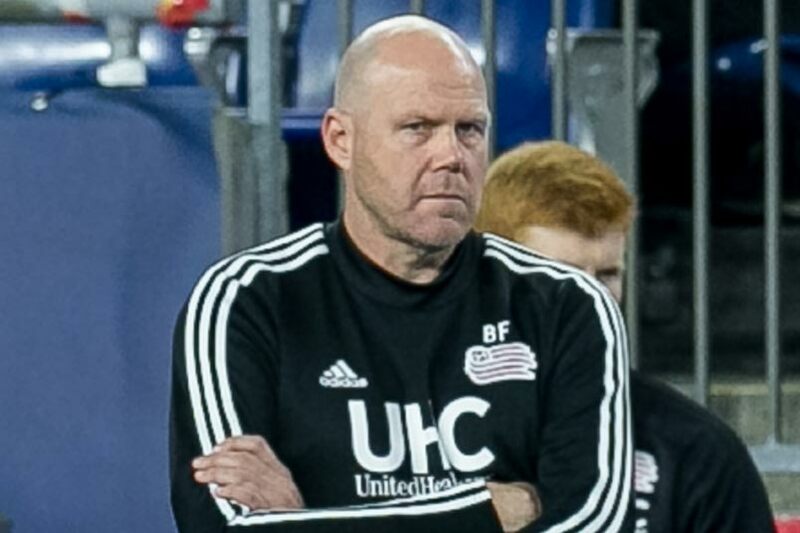 "We need a couple of breaks, absolutely," said Revs coach Brad Friedel after the team’s 2-0 defeat at home to Atlanta United FC. "We are creating enough chances to score and getting into enough positions to score goals, but we need to be a bit more ruthless." For decades, the mutual loathing of the Red Sox and Yankees fuels the Boston-New York rivalry. Dating back to Babe Ruth, Boston’s baseball fans blamed the “Curse of the Bambino” for their team’s decades of futility. The Red Sox eventually broke that curse in 2004 by defeating the Yankees in the playoffs and winning the World Series. The Red Sox have since won it three more times, including last year. This rivalry persists in MLS only the curse affects the Red Bulls. Known as the MetroStars in the league’s inaugural season in 1996, the Revs defeated them 1-0. In dropping that home opener at Giants Stadium on an own-goal from Italy defender Nicola Caricola with no time left, many fans believe the team has carried a curse ever since. The franchise has never won an MLS Cup. For them, the “Curse of Caricola” is very real. A 2017 poll of MLS fans conducted by Know Rivalry Project found that Revs fans named the Red Bulls as their most heated rival. The Red Bulls named DC United and NYCFC as the teams they have the most disdain for, with the Revolution ranking third. The rivalry between the Revs and the Red Bulls reached a boiling point during the 2014 Eastern Conference final. The Revs eliminated the Red Bulls, defeating them 2-1 at Red Bull Arena and 4-3 on aggregate, in what was Thierry Henry’s last game for the team. Close proximity and history certainly can help fuel a rivalry. Under Friedel, the Revolution has taken a blue-collar approach in an effort to achieve success. They've had their struggles since he took over. A victory against the Red Bulls, of course, would go a long way in energizing the team. In an interview last July with ProSoccerUSA.com, Friedel said, "One of our good characteristics is that the boys are resilient. We’re not accepting losing. Every game we play, we try and attack. Against any team we play, home or away, we’re trying to win the game. There’s no sense going out there trying not to lose." DC United, meanwhile, hosts NYCFC this Sunday in another I-95 clash. Although this one is short on history since NYCFC is just a few years old, it still gets the heart pumping among fans at both ends of the stands. This game also features two goalkeepers in the USMNT pool. DC United’s Bill Hamid and NYCFC’s Sean Johnson provided some heroics facing off against each other last month at Yankee Stadium. Hamid made six saves that day, while Johnson had three. "He came up with some great saves and Sean Johnson came up with some fantastic saves,” United coach Ben Olsen told reporters after the March 11 game. "It was probably a coin flip over the course of that game. It could have went either way." NYCFC will also need their out of sorts attack to come through for them. “Maybe we score three goals and not concede in DC,” NYCFC coach Domenec Torrent said after his side’s rollicking 3-3 draw against Minnesota this past Saturday. It’s still early in the season, but playoff hopes are starting to slip away. It’s games like these that have helped grow soccer in this country. It’s also the type of game that could jumpstart a team’s season and help intensify one of the biggest East Coast rivalries. Aaron Long: "How lucky am I that I have Tim on my right and Luis behind me in goal?"